Maj.-Gen. Sir Henry Edward Colvile (10th July 1852 - 25th November 1907), KCMG, CB, was born at Kirkby Hall, Leicestershire. He was the son of Charles Robert Colvile and Hon. Katherine Sarah Georgina Russell. Colvile was educated at Eton, and entered the Grenadier Guards in 1870. He was appointed A.D.C. to General the Hon. Sir Leicester Smythe, commanding the forces in South Africa, in 1880. He served on the Intelligence Department of the Suakim Expedition of 1884, was present at the Battles of El Teb and the Battle of Tamai, mentioned in despatches, and received the bronze star, medal, and clasp. He was employed on special service in the Sudan prior to the Nile Expedition of 1884-85, and during that Expedition served as D.A.A.G. ; was mentioned in despatches; received the clasp, and was created C.B. At the close of the Expedition he was Chief of the Intelligence Department of the Frontier Force; was present at the action at Giniss; was mentioned in despatches, and was promoted to the rank of Colonel. He was then attached to the Intelligence Department at headquarters, and wrote the official history of the Sudan Campaign. 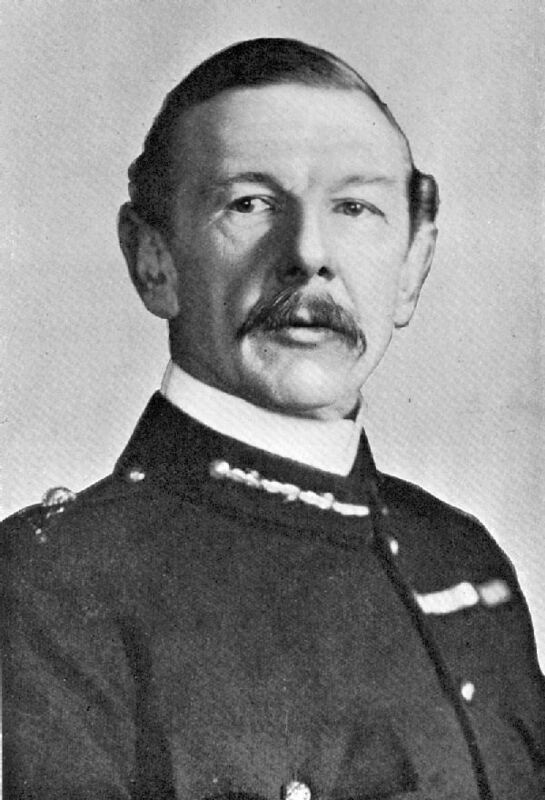 In 1893 he succeeded the late Sir Gerald Portal as Commissioner (Acting) for Uganda, commanded the Unyoro Expedition, which resulted in the inclusion of that country into the Protectorate; received the Central African medal, was created K.C.M.G., and received the second-class Order of the Brilliant Star of Zanzibar. He was selected for promotion to the rank of Major-General, 12 April 1898. Later, he became commander, Infantry Brigade, Gibraltar 1899; Guards Brigade and 9 Division, South Africa 1899-1900; and retired 1901. He married, firstly, Alice Rosa Daly, daughter of Hon. Robert Daly and Hon. Cecilia Maria A'Court, on 6th August 1878. He married, secondly, Zelie Isabelle Richard de Preville on 30th December 1886. Is the son of the former M.P. for South Derbyshire, and is related to Lord De Clifford by his mother, who is an aunt of the present peer. In 1870, at the age of eighteen, he entered the Grenadiers. At the battles of El Teb, and Tamar, during the Soudan Campaign of 1884, he gained great distinction, being twice mentioned in the despatches. His literary skill is by no means slight, and was recognized by the War Office, when in 1886 he was employed to compile the official history of the Soudan Campaign. From 1893 to 1895, he did fine service as Acting Commissioner at Uganda, commanding the Unyoro Expedition in 1894, with conspicuous success. He was promoted to the rank of Major-General in 1898. Upon the outbreak of war in South Africa, he proceeded to the Orange River, arriving on November 17th, and assumed command of the First (Guards) Brigade of the First Division. He commanded the force at the battle of Modder River when Lord Methuen was wounded. His appointment to the charge of the Ninth Division in February, created general satisfaction in camp. In his earlier days ballooning had considerable fascination for Major-General Colvile, and he spent a portion of his honeymoon in this pastime.